Pizza has a very big and colourful history.It is an Italian dish but is now available all over the world. Mix yeast and sugar in a bowl with little luke warm water and keep aside to rest.Dont touch it for fifteen minutes.Keep it in a warm place ( like near gas stove) to bloom. Mix flour,olive oil,salt in a bowl.Pour yeast mixture to it.Start kneading with luke warm water. Knead the dough with the help of dry flour for 8 to 10 minutes on kitchen counter.Knead the dough by stretch and fold method.This type of kneading will help in getting soft and airy pizza base. Take a bowl.Grease it with olive oil.Place the dough in it and cover it with dry towel. Keep it in warm area for two hours.Dough will double in size. After two hours punch the dough so as to remove air bubbles.Knead for five minutes and place it back in bowl.Cover it with towel and keep it again for second rising for half an hour. 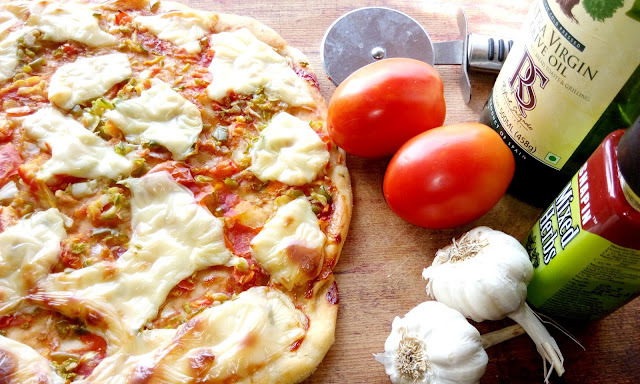 After half an hour Pizza dough is ready to roll.Cut the dough in small pieces with the help of a knife and use a rolling pin to flatten it.Pizza base is thin in centre and little thicker at edges.Poke fork at various places of the rolled base so as to avoid it from rising or inflating during baking. Dust the baking tray with flour.Place the rolled base on baking tray with the help of pizza lifter. 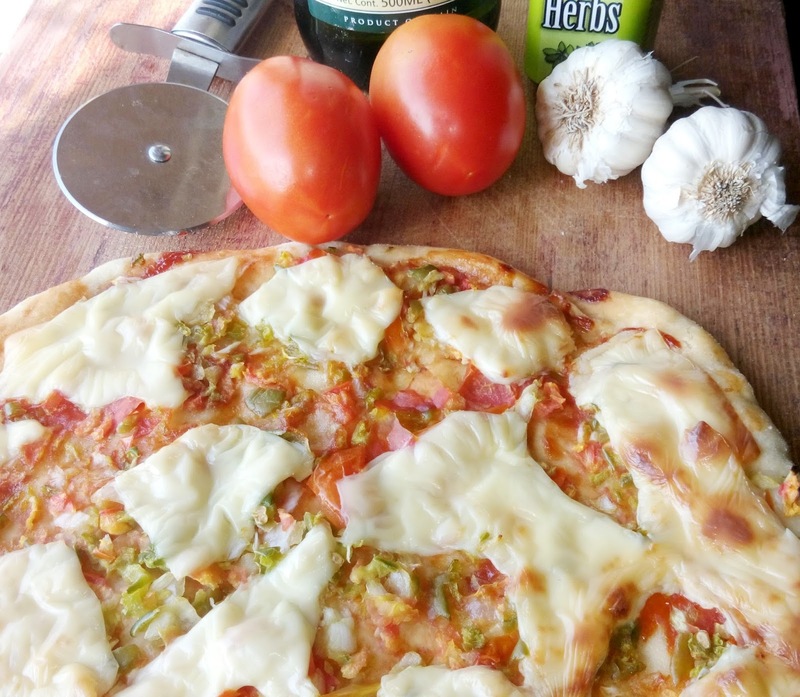 Preheat oven at 180degree celsius.Either you can bake the base and keep it for later use or you can place pizza sauce,toppings and cheese and make a fresh pizza ready to serve.In both cases baking is to be done for 20 to 25 minutes.The result is a soft,fresh and hygienic home made pizza !! !Whats more...it is made by you so your little one will love it all the more.